The first day of school for teachers at Bald Eagle Area School District was Aug. 13, and district staff has been participating in events to help prepare teachers for the start of the new school year. 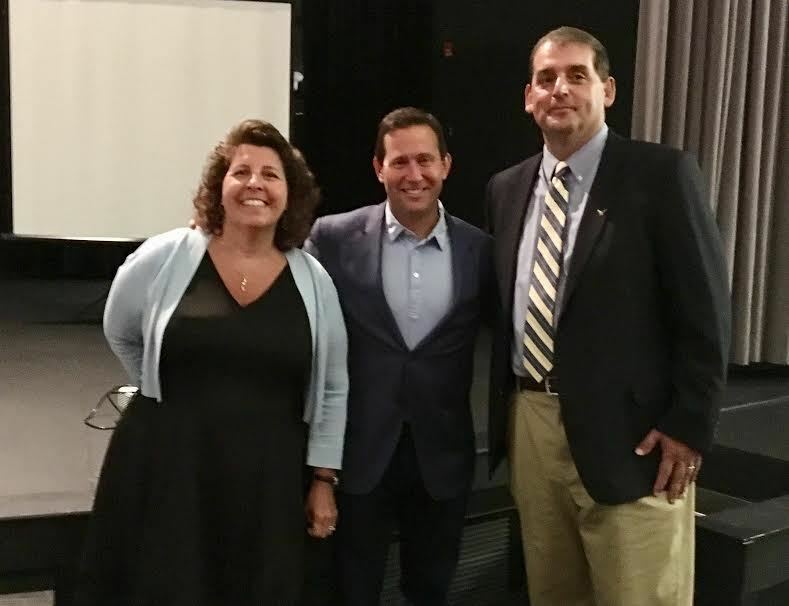 On Aug. 15, activities included a special presentation with guest Jon Gordon. The event was held at the Bellefonte Area High School auditorium with other staff from Bellefonte Area School District and Central Pennsylvania Institute of Science and Technology. Gordon is an author and motivational speaker whose clients include companies such as Southwest Airlines, SC Johnson, Wells Fargo and more; professional athletic teams such as the San Francisco 49ers, Atlanta Falcons, Los Angeles Dodgers, San Diego Padres, Pittsburgh Pirates, Miami Heat and more; and university athletic departments at Clemson University, University of Nebraska, West Point Academy, Penn State and more. The idea to bring Gordon to a back-to-school event came last fall when he spoke at the annual state Principals Association Conference, which Orichosky was the chairman of, and which Burnaford also attended. The two administrators then collaborated to organize the event, which Gordon was the highlight of. Gordon encouraged staff in attendance to select a word to live by that will positively drive the individual through the year.